Interested in serving on a City Board or Commission? The City's Boards and Commissions do important work that can have a huge impact on our community. Serving on a City Board is a great way to get involved. 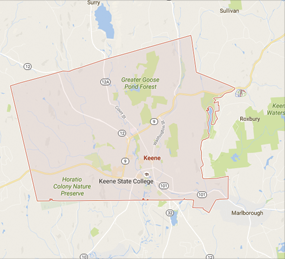 Nominations are made based on your genuine desire to serve and help make Keene a great place to live, work and play! Some boards and commissions are very technical and require members to be able to read and/or interpret regulations or laws. Others are more general in their focus, but they all have one thing in common: they provide an opportunity for members of the public to become involved in local government in a meaningful and satisfying way. Your commitment of one meeting per month can make a huge difference! In every case, candidates must be able to function as a group in an open meeting forum while demonstrating respect for the citizens who attend meetings. A list of current openings is available here. Interested? Complete our volunteer form below! Questions? Please email plittle@ci.keene.nh.us, or call (603) 352-0133 ext. 2. Have you ever served on a public body before? If you answered yes above, please provide what public body you served on and where.